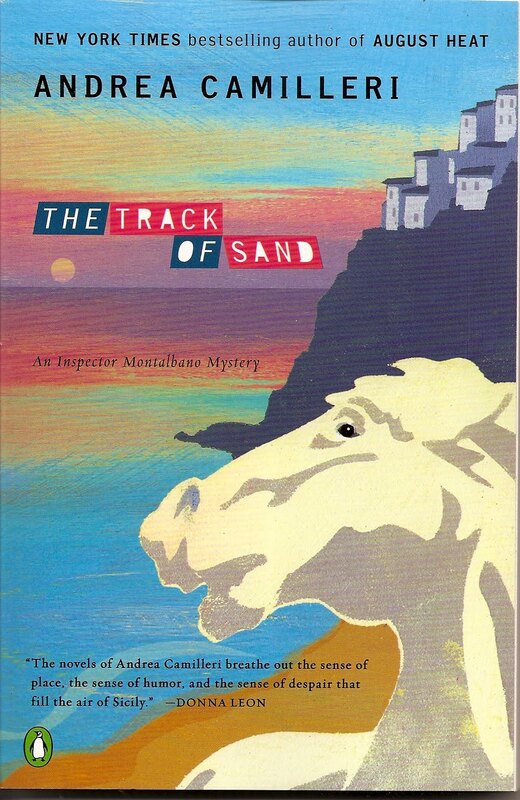 Following Rounding the Mark as the eighth novel in this series, Inspector Salvo Montalbano is on leave, recuperating from events at the end of the previous story. Livia is there with him at the house in Marinella, but sadly that means that Adelina is not there to cook for him. Instead, he's been put on a low-calorie diet, and his life right at the moment is like his food -- rather bland and circumscribed. 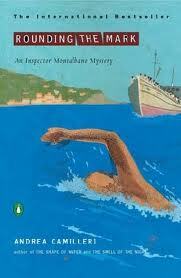 But when a young girl, Susanna Mistretta, is kidnapped, Montalbano is temporarily recalled to duty to solve the case. But as it turns out, it won't be Montalbano's case at all. His job is to investigate and report to Inspector Filippo (Fifi) Minutolo, a colleague who's an expert in this area, ostensibly because he's a Calabrian from Messina who, according to Bonetti-Alderighi, "should know a lot about kidnappings." He is to be the "Dora, the Riparia, or the Baltea" to Minutolo's Po. Absolutely no one can understand exactly why anyone would choose to kidnap Susanna Mistretta -- her family is broke, her mother is gravely ill, and neither she nor her father is someone really important. The police will just have to wait, but Montalbano, of course, cannot just sit tight waiting for the kidnapper's demands to surface. Furthermore, the entire town, it seems, is getting involved. And this time Montalbano doesn't just have his annoying boss breathing down his neck -- surprisingly, Livia is constantly on him about the case. He didn't tell her soon enough. He's a hypocrite. He's not doing enough. To be perfectly honest, I figured this out so early in the story that I really didn't feel like finishing the book. 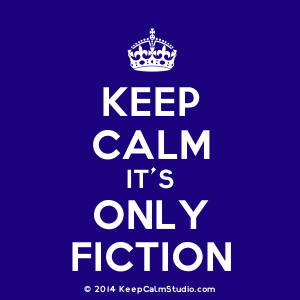 But I stuck with it, not just to prove myself right, but because the mysteries and their solutions are not the only reasons I read these novels. There are the delightful characters, of course, but also, not one sensory experience is left out of Camilleri's descriptions of Sicily, not even smell -- Montalbano is able to experience smells as colors in a condition known as synesthesia. I get this sense that Camilleri isn't always delighted with "progress" -- he successfully juxtaposes the beauty of the mountains, sand and sea with the ugliness of a man-made environment that impedes on the natural surroundings. Add to that Camilleri's commentary (via his characters and his plots) on the corrupt dealings of Italy's power brokers and you begin to understand why Camilleri writes what and how he does. Not unlike many other writers in the realm of translated crime fiction, he's got a set of truths (as he sees them) to get across to his readers. But in the end, it's Montalbano's sense of justice and his keen observations of human nature that round out this story, so that guessing the solution early on isn't so bad. It's also funny to watch Salvo sneaking away for decent food...these were some of the funnier moments of this book. I'm not going to say that I loved this book, because I didn't, but it was okay. And although perhaps not the best in the bunch, The Patience of the Spider is still good reading, and my hat is tipped high in the air to Stephen Sartarelli, who brings the story to his English readers so perfectly! The Paper Moon is Montalbano's ninth adventure, and we find our irascible hero becoming more obsessed with aging and trying to get past thoughts of when his "dying day comes." Actually, Montalbano is only in his fifties, so his worries might be a bit premature, and obviously he may think he's losing it, but his performance on this very odd case leaves the reader begging to differ. Even Livia thinks he's demented. Sgt. Caterella brings in a woman to see Montalbano at the station. Mimi Augello, on whom Salvo would prefer to dump the visitor, is home with his baby, waiting for the doctor. Fazio is involved in a drug overdose case, so the Inspector is the only one left. As it turns out, the woman, Michela Pardo, is there to report her brother Angelo's disappearance. Because Angelo is an adult and may have gotten it into his head to just go away for a while, Montalbano explains that he can't move on the case right away, but Michela's worries are so intense that he agrees to meet her at her brother's apartment later that evening. When they go into the apartment, there's no sign of Angelo, until Montalbano sees a small recess in the wall with a staircase within. At the top of the stairs is a room on the terrace, to which Michela has no key. Salvo breaks down the door and discovers Angelo's body -- collapsed in the armchair with half of his face blown off, his zipper opened and a certain part of his anatomy hanging out. Right away Michela accuses her brother's girlfriend Elena of the crime, but as the investigation proceeds, Montalbano's not so sure. Angelo has his own secrets that may or may not be relevant to the crime, and the Inspector will leave no stone unturned until he gets to the truth. In the meantime, Salvo continues to stress over growing old, is called to the Commissioner's office several times to find that the meetings are continually postponed, and has to fend off unwanted advances from a woman with carte blanche to have affairs. And there's a delightfully funny moment when of all things, Montalbano dresses a piece of salmon with lemon juice and olive oil. Again, I have to admit to have sort of figured out parts of this plot midstream -- not all, but a couple of key pieces of the core mystery. I think once you're read so many of these and have got the pattern down, it's less difficult to figure out where Camilleri is going with his crime elements. But as noted above, it's not just the crime that keeps drawing me back. By now Montalbano is more along the lines of an old friend who I feel like checking in on now and then, just to see what he's up to. I also think it makes a big difference as a reader when you read the entire series pretty much back to back in publication order, because there is little variance in the rather formulaic construction of these novel from book to book. I love the political critiques, the food, the characters and I feel like every time I'm reading one of these books, Sicily becomes more and more familiar to me. 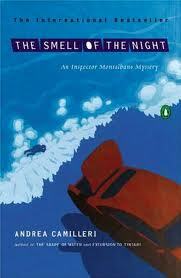 Most of all, I really like Montalbano -- his humor, his compassion, and everything else. Three more to go and then I must wait until September to finish the series with the release then of The Potter's Field here in the US. 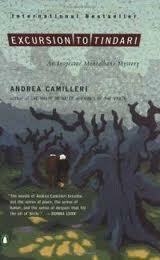 If anyone reading this is considering Camilleri's books, don't start with this one that is nearing the end -- take the time to go back to the beginning of it all. As I work my way through this series, Andrea Camilleri is quickly becoming one of my favorite crime fiction authors, and Salvo Montalbano one of my favorite characters. How can you not like him? He's grumpy, cantankerous, and crabby and yet he has a compassionate side. He lives for the best, most delectable food, and although flawed in many ways, he has an incredible handle on human nature. The Snack Thief is number three in this series, and I wasted absolutely no time after Terra-Cotta Dog to start this book. And after finishing this book, I opened up the next one, The Voice of the Violin. I have a feeling that when that one's over, it's going to be on to number five and on down the line until I've finished every book that's been published in this series. That's how good these books really are and how much I like them. The day starts out badly for Montalbano as the story begins, when he is awakened early in the morning by a call from Catarella at the Vigata station. A Tunisian man was killed when the trawler on which he was working was attacked by a Tunisian patrol boat. The trawler was in international waters, and since someone was killed, the government is forced to intervene. And because the boat came into Vigata, the nearest port, the police there are supposed to provide a detailed report because of the possible international repercussions. 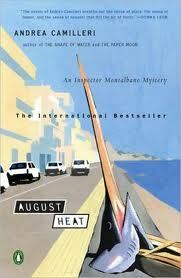 Montalbano would prefer not to get involved, and is happy when Mimi Augello takes it on. The Inspector has a more intriguing case to work on -- that of a businessman named Lapecora, who was found stabbed and dead in the elevator of his apartment building. As he's investigating this crime, another report is called in about someone stealing pre-lunch snacks from school children. As he focuses on Lapecora's death, more mysteries begin to reveal themselves, whetting Montalbano's appetite just as much as the promise of alalonga all'agrodolce prepared by his friend Calogero at a local restaurant. And while all of this is going on, Livia decides to come for a visit. The Snack Thief is a wonderful read. There are multiple layers of mystery at work in this novel, and as each one is revealed, the story becomes a bit more intriguing. The characters once again take center stage -- not only are the usual players here, but there are new ones who play off of Montalbano, bringing out different sides of his character. There are many humorous moments, in the police station, or when Montalbano's hunger makes him a bit grumpy, and especially in the way he deals with his growing (but unfounded) jealousy of Livia and Mimi Augello. Stephen Sartarelli's translation is so well done that the book just flows -- there is not a line out of place, nor is there any point at which the narrative comes off even a bit awkwardly. It's absolutely incredible how well the translation captures all the characters' eccentricities, especially those belonging to Montalbano. I can definitely recommend this one with absolutely no reservations. It will definitely appeal to all readers of crime fiction, from those who read cozy novels on through noir fans. 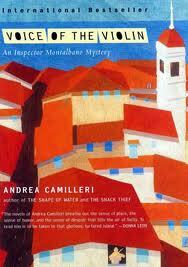 I admire Camilleri's writing talent, and can't wait to get through the entire series. It is just a crying shame that this novel is not going to be available in the U.S. right away, because really, American readers of Jo Nesbø are missing out on one of the very best books in the entire series. I couldn't even purchase a copy from Book Depository directly, so I had to take the roundabout alternative and purchase from BD through Amazon. It's a bit more expensive, but well worth it. Trust me, after finishing The Snowman, you are going to want to read this book as quickly as possible. In fact, in this episode of the Harry Hole series, the story picks up shortly after the events of The Snowman, which (without giving too much away) took their physical and emotional toll on Harry, sending him as far away from Norway and the police department as possible to Hong Kong. There he lives in squalor, bets money he doesn't have on the horses and runs up serious debts that prevent him from leaving the country. He also discovers that opium lessens his pain and allows him to stay away from the booze. But events back in Norway soon require his presence, and Detective Kaja Solness has come to Hong Kong to collect him and bring him back to Oslo. Harry adamantly refuses, but then relents when it turns out that his father is seriously ill and in the hospital. When he returns, he discovers that there's another serial killer on the loose, a person who has killed two people in a most gruesome fashion and leaves behind no evidence. More murders occur, but he's facing an even tougher problem. His colleagues in the Crime Squad, are in a fight with the Kripos (Krimpolitisentralen) over control of murder investigations, a battle that involves not just the two rival groups, but the future careers of many of Harry's colleagues and even Harry himself. The Kripos have taken jurisdiction over this series of murders, and the investigation is in the hands of Bellman -- a politico who is all about power and control, as opposed to Harry, who wants to solve the case and bring the perpetrator to justice. While this situation complicates matters for the Crime Squad, it doesn't stop Harry from doing his own investigation. Harry gets unofficial assistance from some of his colleagues, as well as some clandestine help from an old friend to figure out what it is that connects the victims together. Once he figures this out, he believes, it will help him with the who and the why. But this is not going to be easy. It will take all that Harry has to give, which right now isn't that much, and will take him back and forth across the globe before his job is done. The character of Harry Hole is quite possibly at his best in this novel, even though emotionally he's at his lowest point. He has become a very real person here, battling through his personal demons which makes him a bit reckless and often prone to acting without thinking. He warns others who want to work with him that it is his pattern to drag them down alongside himself, and he is not wrong. But despite all of his personal issues, Harry is the consummate detective, and will not let go of the case until it is finished, no matter what means he has to use to get the job done. 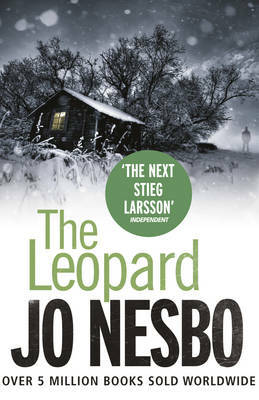 Nesbø has done an incredible job with The Leopard, and readers of crime fiction, especially those who have followed Nesbø's series from the beginning, will in no way be disappointed. He is able to pique the reader's interest at the very start of the novel with a most nasty crime and a bad guy who has absolutely no conscience, then ratchet up the tension level little by little until it is almost impossible to put the book down. His plotting is meticulous, but it is his attention to detail, the addition of the tension between the two police groups, and above all his portrayal of Harry Hole on a most human level that makes this story work and work well. There are also several references to Hole's other cases here and there throughout the story, bringing to mind all that this man has been through. On the downside, The Leopard is incredibly long, and I found some of it a bit confusing at times, especially regarding one of the subplots of the novel. It moves slowly in several parts to the point where you think you might be trying to crawl through jello. And yes, there are some very over-the-top moments that Nesbø seems to enjoy throwing into each one of his novels that make the action a little hard to swallow sometimes. However, it is probably my favorite of the series, and although it took some time to read, it was well worth every second. I started this on an airplane, and as much as I hate flying, I forgot where I was for the entire 5 hours because I was so caught up in the story. Do not make The Leopard your introduction to the Harry Hole series -- if nothing else, at least read The Snowman, so you will have an understanding of Harry's mindset going into this one, which is in many ways the continuation of the latter. Better yet, start with The Redbreast and read your way through one of the best crime fiction series currently available.